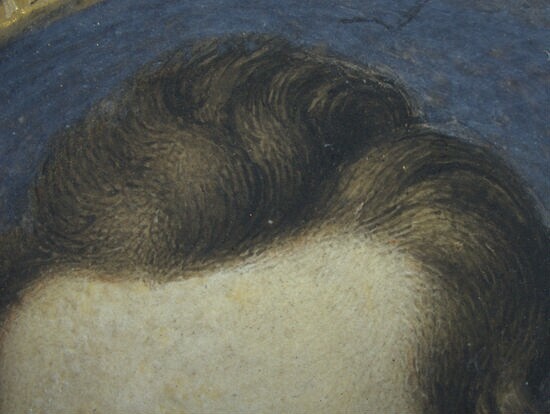 Detail of the sitter's hair. 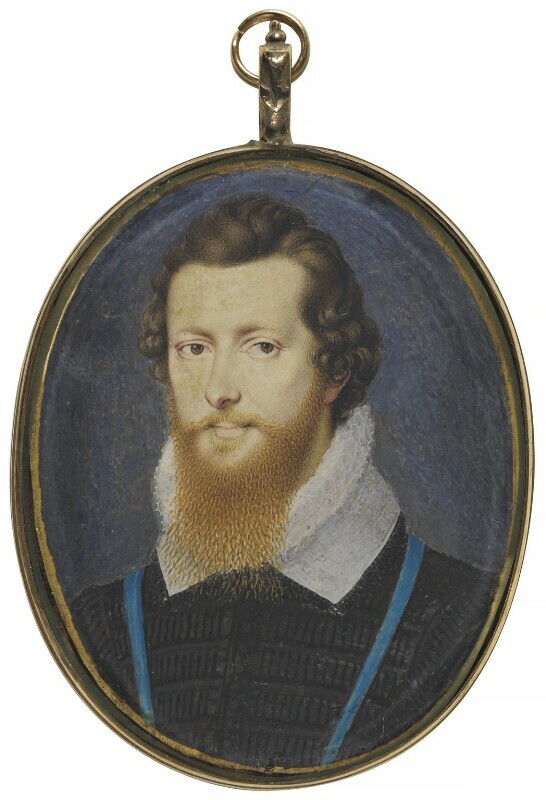 Robert Devereux, 2nd Earl of Essex (1565-1601), Soldier; favourite of Elizabeth I. Sitter associated with 25 portraits. 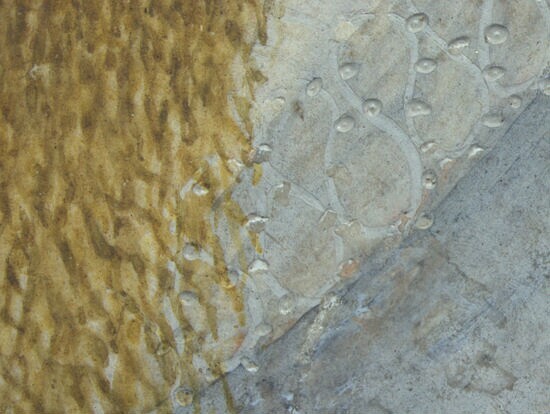 Isaac Oliver (circa 1565-1617), Miniature painter. 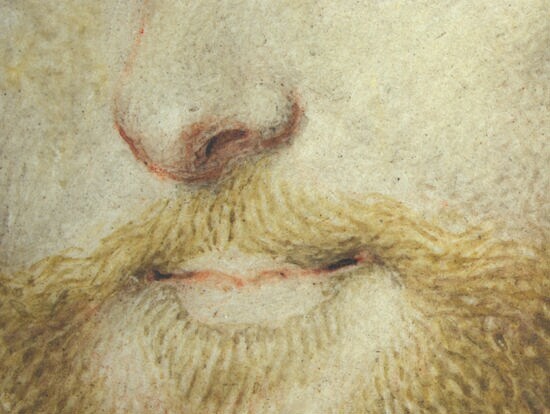 Artist associated with 72 portraits, Sitter in 5 portraits. A Venetian observer described how, after taking Cadiz, Essex had 'on this last voyage...began to grow a beard, which he used not to wear'. This portrait was painted soon afterwards and shows him with a blue ribbon around his neck from which the 'Lesser George', or informal insignia of the Order of the Garter, would have been suspended.